DETROIT, MI–Ting Cui is going to have a busy second half of the season. 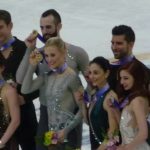 She’ll be competing at the Four Continents Championships and attending U.S. Figure Skating’s 2019 World Junior Team Camp, plus she’s the first alternate for the senior World Championships team. Such an outcome seemed all but impossible on Thursday night (Jan.24), when she fell twice and failed to complete a combination in the women’s short program at the U.S. Championships. She was in 12th place heading into the long program. But she climbed up to fifth place with a near-flawless free skate that earned a standing ovation from the crowd at the Little Caesar’s Arena in Detroit. She finished third in that segment of the competition, ahead of last year’s champion Bradie Tennell. Cui landed a triple Lutz-triple toe and a slightly underrotated triple flip-euler-triple Salchow, alongside three other triples, a double Axel, and a double Axel-double toe combination. Cui said she had to put the short program out of her mind to refocus for the long. After earning the bronze at the U.S. Championships at the junior level in 2018 and competing on the Junior Grand Prix in the fall, this was Cui’s senior debut at Nationals. Cui’s performance here gives her confidence as she heads to more high-pressure, high-stakes events later in the season. Cui, 16, is currently splitting her time between home in Maryland, where she is a junior at Towson High School, and Colorado Springs, Colorado, where she trains with Tom Zakrajsek and Tammy Gambill. She hails from the same area as former U.S. and World Champion Kimmie Meissner and says she looks up to Meissner. FSO tweeted the quote and Meissner responded with a tweet of her own, saying, “I wanna cry. The feeling is mutual and watching Ting grow into that skater we all saw last night has been amazing. I can’t wait for everything to come for her! 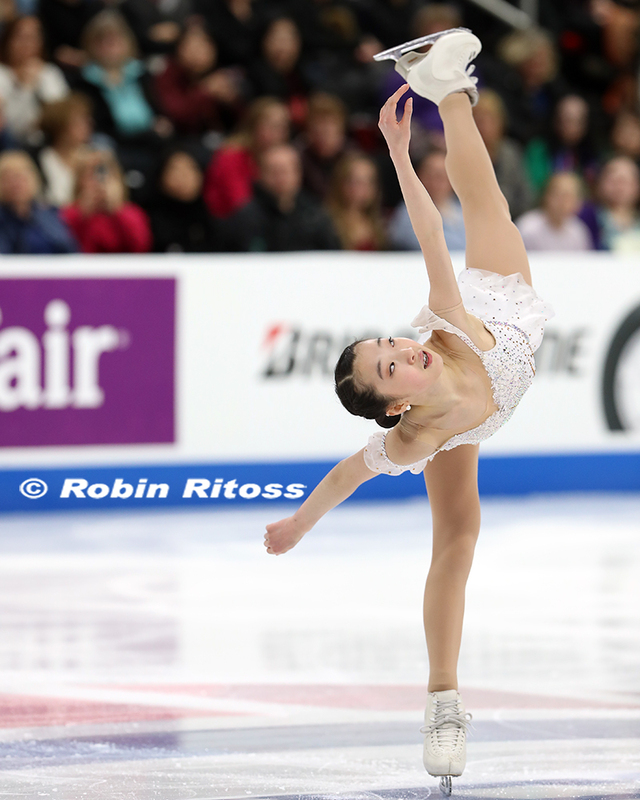 With U.S. Champion Alysa Liu, 13, age-ineligible to compete internationally even as junior, Cui’s 5th place finish was enough to earn the two late-season assignments and alternate spot for Worlds. We’ll be seeing more from Cui even sooner than perhaps Meissner realized. Four Continents kicks off in Anaheim, Calif., on Feb. 7. Figure Skaters Online’s Claire Cloutier will be in Anaheim, Calif. for the Four Continents Championships. Stay tuned to Figure Skaters Online for coverage from the event.